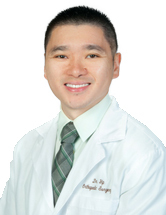 Michael C. Yip, MD is a board eligible orthopaedic surgeon, fellowship trained in shoulder and elbow surgery. In private practice since 2017, his clinical practice includes conditions affecting the shoulders and elbows including arthroscopic shoulder and elbow surgery and replacement, rotator cuff disease, arthritis, sports injuries and shoulder and elbow fractures. Yip M, Virk MS. Treatment of Frozen Shoulder: A Critical Analysis Review. Jenkins ED, Yip M, Melman L, Frisella MM, Matthews BD. Informed Consent Regarding Biologic Mesh within Religious and Cultural Communities. J Am Coll Surg. 2010 Apr; 210(4):402-10. Yip, M. Management of Glenoid Bone Loss; Current Reconstructive Options. Orthopaedic Grand Rounds, Syracuse, NY June 8, 2016. Yip M, Werner FW, DaRin RA, Delisle EM, Wilson DL, Setter KJ. Total Shoulder Replacement Retroversion:Variation among Shoulders before Surgery and Between the Intact Shoulder and After Surgery. ORS 2016 Annual Meeting. Orlando, FL. March 5-8, 2016. Yip M, Ulnar Collateral Ligament Injuries in Throwing Athletes. Orthopaedic Grand Rounds, Syracuse, NY. August 13, 2014. Abdelshahed M, Yip M, Zuckerman JD, Kwon YW, Virk MS. Outcomes using posterior augmented reverse total shoulder arthroplasty for glenoid wear: a minimum of two year follow up compared to matched control. Yip M, Buchalter D, Abdelshahed M, Mahure S, Virk MS, Zuckerman JD, Kwon YW, Rokito AS. Revision open Bankart repair for failed prior arthroscopic or open stabilization. Paoli A, Brown A, Yip M, Mahure S, Virk MS. Utility of routine X-rays in 1st year postoperative period after shoulder arthroplasty.